More personal than all his albums to date, Omar Souleyman’s second studio effort, Bahdeni Nami, sees the Syrian artist collaborating once again with his favorite poet, Ahmad Alsamer. Alsamer penned his early hits “Kaset Hanzel,” “Khattaba,” and “Shift–al Mani.” Recorded closer to home, in Istanbul, with poet in residence and heard throughout with claps and wails of encouragement, the new album features saz fireworks and support from Khaled Youssef. Keyboardist Rizan Said improvises devotedly and with skill to every tune and turn of Omar Souleyman’s voice. His lyrics declare eternal love, console one’s aching heart, decide to let a lover go, and ask her to sleep in his arms forever in four fast dance numbers, an introductory mawal and an elaborate Arabic-style ballad. After his first studio album, Wenu Wenu, which was produced by Four Tet (AKA Kieran Hebden), Omar Souleyman opens it up here to a number of producers, who offer their own takes on Omar’s sound. He is humbled and finds himself fortunate that these collaborators are inspired by his music and want to be close to it. 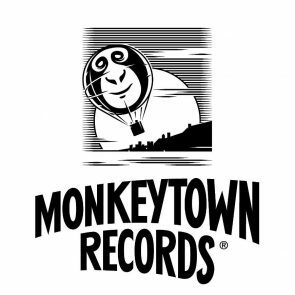 Hebden returns to produce “Bahdeni Nami,” Modeselektor luck out with two fast dance numbers, Legowelt offers a remix of the title track and Cole Alexander of the Black Lips treats one of the heart-wounding ballads. Omar Souleyman continues tirelessly bringing his wild dance party to all corners of the world, and is proud to have sung at the recent Nobel Peace Prize concert. Hailing from the Hasake region of Syria, Omar earned his reputation singing at weddings, birthdays, christenings, corporate parties and the like, answering to invites from all peoples living in the region, be they Muslims, Christians, Kurds, Iraqis, Syriacs or Assyrians. His voice and style stood out as he adapted his songs and lyrics to make everyone equally happy. Those parties yielded hundreds of cassette tapes, which at first were offered as gifts, and later distributed throughout the region and other Arab countries. Despite world’s insistence upon associating him with his home country’s unending war, Omar gives back nothing but love. 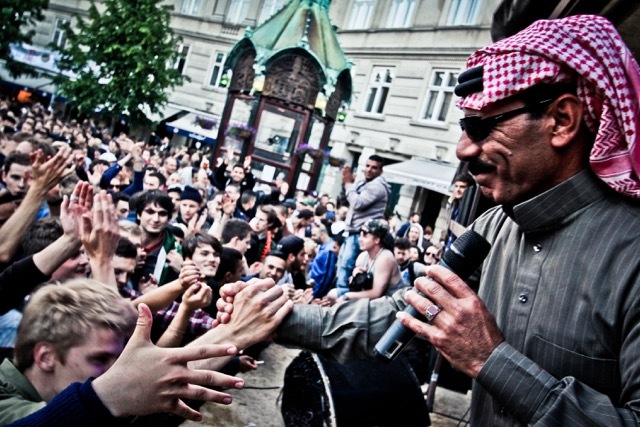 Omar Souleyman live in Berlin – win tickets!